These lovely fragile snowflakes fell on my wooden steps. Every snowfall is unique and beautiful. 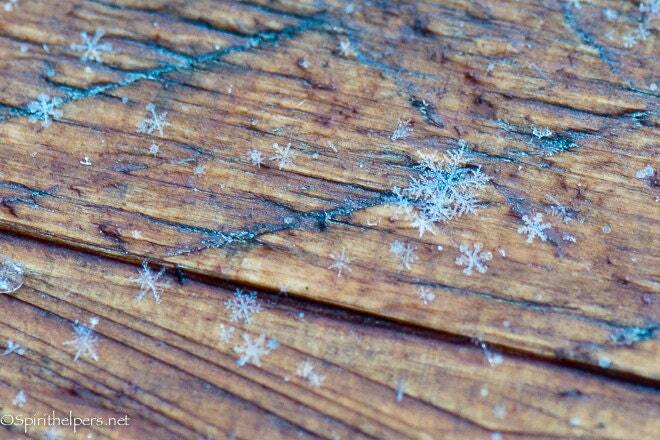 I love it when snowflakes fall looking like glass stars.